October 28, 2014 - No Comments! It's hard to imagine a form that could be simpler: two fields, two buttons, and one link. Yet, it turns out this form was preventing customers from purchasing products from a major e-commerce site, to the tune of $300,000,000 a year. What was even worse: the designers of the site had no clue there was even a problem. The form was simple. The fields were Email Address and Password. The buttons were Login and Register. The link was Forgot Password. It was the login form for the site. It's a form users encounter all the time. How could they have problems with it? The problem wasn't as much about the form's layout as it was where the form lived. Users would encounter it after they filled their shopping cart with products they wanted to purchase and pressed the Checkout button. It came before they could actually enter the information to pay for the product. The team saw the form as enabling repeat customers to purchase faster. First-time purchasers wouldn't mind the extra effort of registering because, after all, they will come back for more and they'll appreciate the expediency in subsequent purchases. Everybody wins, right? "I'm Not Here To Be In a Relationship"
We conducted usability tests with people who needed to buy products from the site. We asked them to bring their shopping lists and we gave them the money to make the purchases. All they needed to do was complete the purchase. We were wrong about the first-time shoppers. They did mind registering. They resented having to register when they encountered the page. As one shopper told us, "I'm not here to enter into a relationship. I just want to buy something." Some first-time shoppers couldn't remember if it was their first time, becoming frustrated as each common email and password combination failed. We were surprised how much they resisted registering. Repeat customers weren't any happier. Except for a very few who remembered their login information, most stumbled on the form. They couldn't remember the email address or password they used. Remembering which email address they registered with was problematic - many had multiple email addresses or had changed them over the years. When a shopper couldn't remember the email address and password, they'd attempt at guessing what it could be multiple times. These guesses rarely succeeded. Some would eventually ask the site to send the password to their email address, which is a problem if you can't remember which email address you initially registered with. The form, intended to make shopping easier, turned out to only help a small percentage of the customers who encountered it. (Even many of those customers weren't helped, since it took just as much effort to update any incorrect information, such as changed addresses or new credit cards.) Instead, the form just prevented sales - a lot of sales. The designers fixed the problem simply. They took away the Register button. In its place, they put a Continue button with a simple message: "You do not need to create an account to make purchases on our site. Simply click Continue to proceed to checkout. To make your future purchases even faster, you can create an account during checkout." On my answering machine is the message I received from the CEO of the $25 billion retailer, the first week they saw the new sales numbers from the redesigned form. It's a simple message: "Spool! You're the man!" It didn't need to be a complex message. All we did was change a button. You can also read more on the back story of the $300 Million Button on the Brain Sparks blog. October 23, 2014 - No Comments! 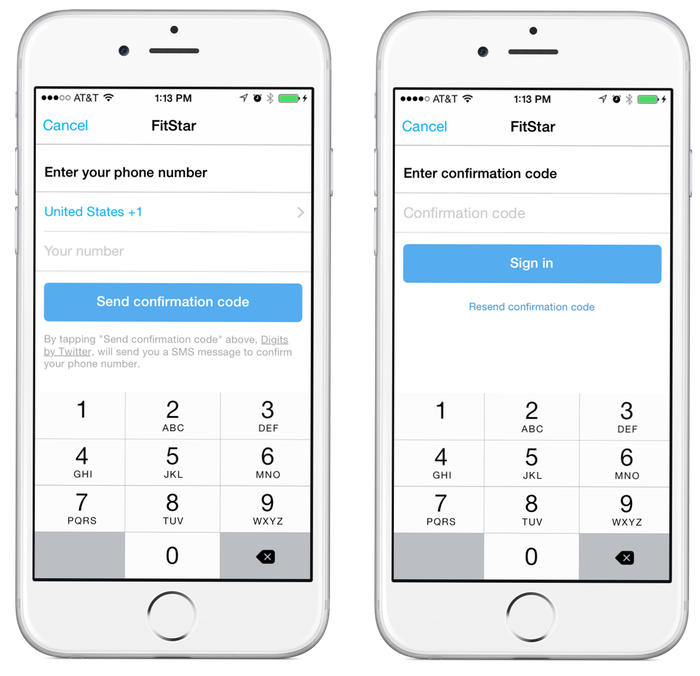 "The process has three steps: a login screen with an option to sign up via mobile device; a screen to enter your phone number, and a screen to enter the confirmation code Twitter sends you via SMS. (The process will look familiar to anyone who has signed up for WhatsApp or, more recently, Yo.)" October 21, 2014 - No Comments!